According to John Calvin, the true church was wherever the Word was rightly preached and the sacraments rightly administered. Put another way, church happens when believers gather to tell the story and break the bread. 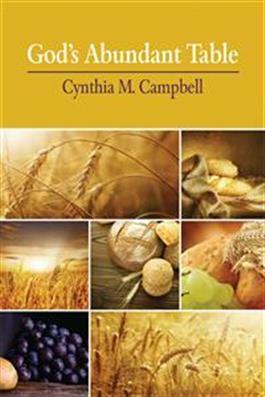 In God's Abundant Table, Cynthia Campbell begins with the premise that the Eucharist (the 'thanksgiving meal' of the church) is far more than a re-enactment of the meal in the Upper Room. Rightly understood, the Lord's Supper is connected to Jesus' entire ministry, to the entire story of God's relationship with God's people, to our everyday meals and to the ministry to which each of us is called as Christ's followers. Whether used for personal reflection or congregational study, this reflection on key biblical texts and a six-session study guide, will invite you to discover the many connections in the Bible between what we do in the Lord's Supper, what it means to be in relationship with God, and how God would have us live every day.